Joseph R. “Pitt” Hyde III is a nationally known entrepreneur and philanthropist whose leadership has transformed his hometown of Memphis, Tennessee. After he graduated from the University of North Carolina in 1965 with a degree in economics, he joined Malone & Hyde, the wholesale food company founded by his grandfather in 1907 and he expanded its specialty retailing division into drug stores, sporting goods stores, supermarkets, and auto parts stores. Under his leadership, the company became the United States’ third largest wholesale food distributor with annual sales of more than $3 billion. He was the first president of Super D Drugs, and in 1968, he was elected president of Malone & Hyde, and in 1972, he was elected chairman. For 10 years, he was the youngest CEO on the New York Stock Exchange. In 1979, Mr. Hyde established AutoZone Inc. as part of Malone & Hyde. He guided its growth from one store in Fort Smith, Arkansas to a retail auto parts giant with more than 4,800 stores in the U.S., Puerto Rico, and Mexico. He retired as CEO and chairman in 1997 after building AutoZone to become the largest retailer of auto parts and accessories in the U.S, and he remains on the AutoZone board of directors. Mr. Hyde is owner and president of Pittco Holdings Inc. and his broad portfolio of investments includes his position as general partner of Schaedle Worthington Hyde Properties, LP, an Atlanta-based real estate company that specializes in multifamily housing and limited service hotel development. 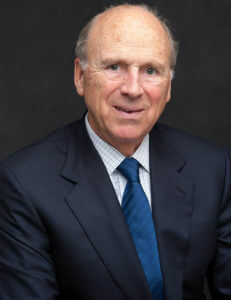 Mr. Hyde is chairman of GTx Inc, a publicly held biopharmaceutical company dedicated to the discovery, development, and commercialization of therapeutics primarily related to the treatment of men’s serious health conditions. He is also chairman of the board of Memphis Bioworks Foundation, which is developing Memphis’ unique niche in the biotechnology industry. He recently retired as a director of FedEx Corporation after 34 years of service. Mr. Hyde is a trustee of the J.R. Hyde Senior Family Foundation and founder of the J.R. Hyde III Family Foundation, where he executes a philosophy of social entrepreneurship to drive innovative answers to urban challenges. The foundations focus on three distinct areas of influence: Transforming Education, Positioning Authentic Assets, and Livable Communities. Its work has helped drive education reform in Memphis and state-wide, develop a 4,500 acre urban park and seven-mile greenway in Memphis, redevelop a vibrant downtown Memphis, and revitalize several urban neighborhoods. He has been instrumental in the development and operations of the National Civil Rights Museum, where he is Chairman of the Executive Committee and Member of the Board of Directors. The Hyde Foundation sponsors the National Civil Rights Museum’s Annual Freedom Awards honoring national and international human rights leaders. Mr. Hyde led efforts to bring the Grizzlies, a National Basketball Association franchise, to Memphis. He actively supports a number of civic and charitable organizations, including The New Memphis Institute, Memphis Fast Forward, Memphis Brooks Museum of Art, Memphis Challenge, Riverfront Development Corporation, Memphis College of Art, Teach for America, New Leaders for New Schools, The New Teacher Project, Memphis University School, Ballet Memphis, Tennessee Charter School Incubator, and a number of education reform initiatives. He also was a co-founder of Memphis Tomorrow, an organization of 24 CEOs from the city’s largest corporate and institutional employers that invests in breakthrough projects addressing economic growth, local government efficiency, public safety, workforce development, and health care. Mr. Hyde is married to the former Barbara Rosser of Atlanta and has five children.